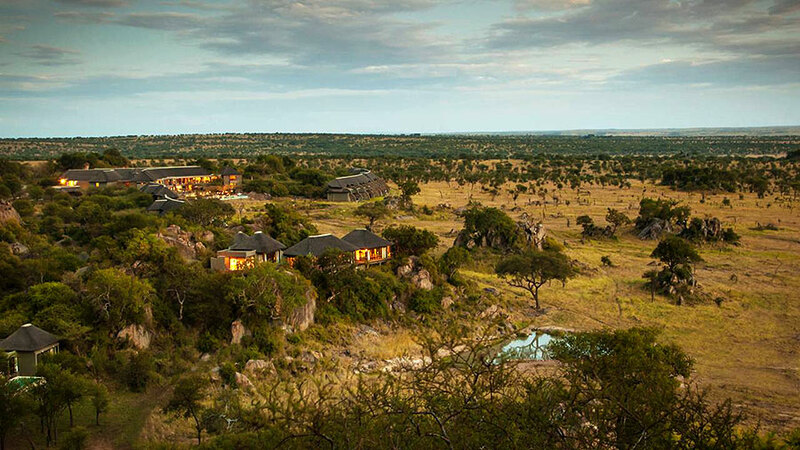 With accommodations in top-notch ultra-luxury lodges and tented camps, our Ultra Luxury Summer Safari is the perfect opportunity to discover Northern Tanzania Parks and destinations, such as Tarangire National Park, Ngorongoro Highland, and the Serengeti Plains. Indulge in top-notch, ultra luxury accommodations. Excellent concentration of Elephants in Northern Tanzania at Tarangire National Park. 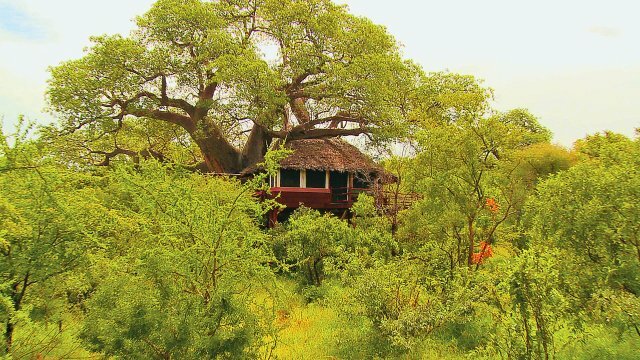 Enjoy a Bush Walk and Night Game Drive while staying at Tarangire Treetops. Participate on a Village Walk, School Visit and Farmers Market. Witness the abundance and diversity of carnivores on river beds and swamps. 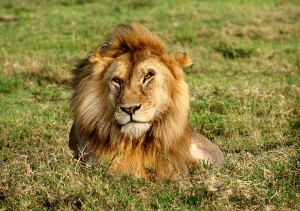 Enjoy 3-nights at the heart of Serengeti, which is home to the big cats such as Lions, Leopards and Cheetahs. Capture the beautiful landscape and scenery from a birds-eye view while flying over the Serengeti Plains and Ngorongoro Highland, on your return flight back to Arusha. Arrive at Kilimanjaro International Airport (JRO) by your international flight. 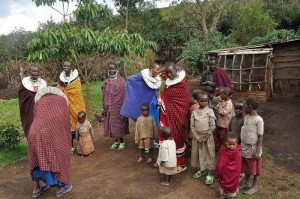 Your driver guide will meet you at you at the airport and drive you to Arusha Coffee Lodge (or similar) for overnight. 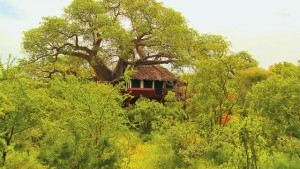 Drive to Tarangire Treetops (or similar) for Lunch. Afternoon Nature Walk, followed by an early Dinner and Night Game Drive. 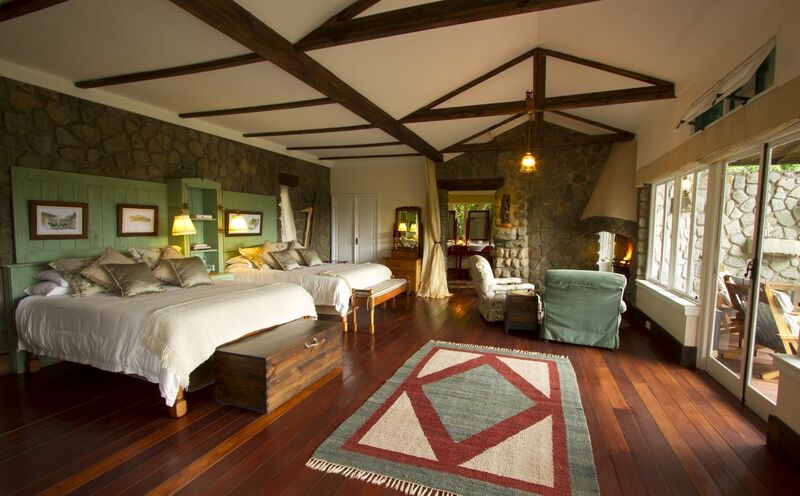 Dinner and overnight at Tarangire Treetops (or similar). 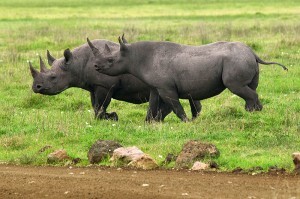 Full day Game Drive in Tarangire National Park with picnic Lunch. Dinner and overnight at Tarangire Treetops (or similar). 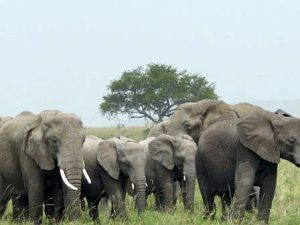 Herds of up to 300 elephants scratch the dry river bed for underground streams, while migratory wildebeest, zebra, buffalo, impala, gazelle, hartebeest and eland crowd the shrinking lagoons. It’s the greatest concentration of wildlife outside the Serengeti ecosystem – a buffet for predators. The swamps, tinged green year round, are the focus for 550 bird varieties, the most breeding species in one habitat anywhere in the world. Drive to Lake Manyara National Park for Game Drive with picnic Lunch. Dinner and overnight at Gibbs Farm (or similar). 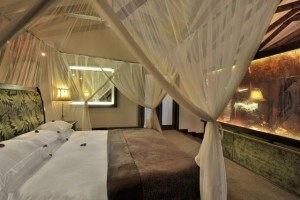 The compact game –viewing circuit through Manyara offers a virtual microcosm of the Tanzanian safari experience. From the entrance gate, the road winds through an expanse of lush jungle like groundwater forest where hundred-strong baboon troops lounge nonchalantly along the roadside, Blue monkeys scamper nimbly between the ancient Mahogany trees, dainty Bushbuck tread warily through the shadows, and outsized forest hornbills honk in the high canopy. Contrasting with the intimacy of the forest is the grassy floodplain and its expansive views eastward across the Alkakine Lake. 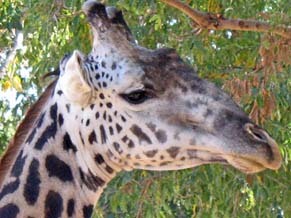 Large buffalo, wildebeest and zebra herds congregate on these grassy plains, as do giraffes some so dark in coloration that they appear to be black from a distance. Location: The entrance gate lies 1.5 hours (126km/80 miles) west of Arusha along a newly surfaced road, close to the ethnically diverse market town of Mto Wa Mbu. 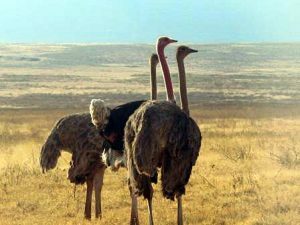 What to do: Game drives and night game drives, cultural tours, mountain bike outside the park, walking safari inside the park. Best time: Dry season (July-October) for large mammals; wet season (November-June) for bird watching, the waterfalls and canoeing. After breakfast, Village Walk and School Visit. At noon, return to your lodge for Lunch. Late afternoon, do a Guided Garden and Coffee Farm Tour. Dinner and overnight at Gibbs Farm (or similar). 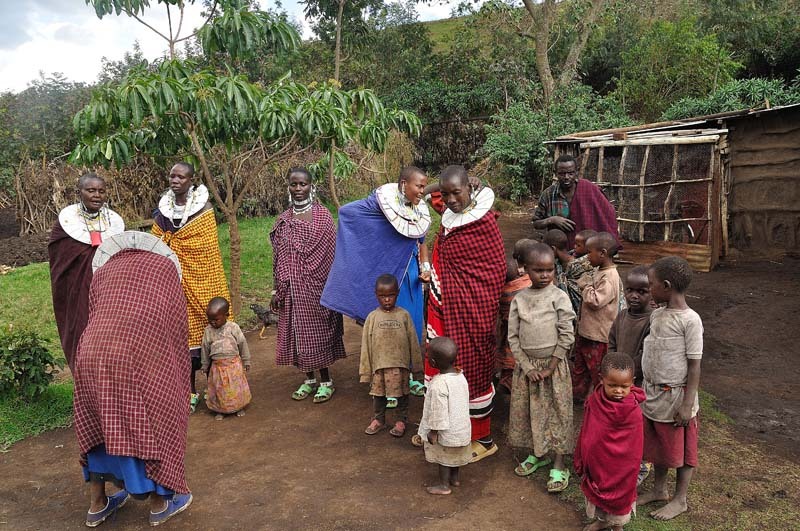 The village walk enables travelers to experience some local culture, people life and their respective activities. This may include visiting a School, Hospital, local Brick Making Centre, a Church, and more. This guided garden walk gives our travelers an opportunity to learn many facts about how coffee is grown in Tanzania, as well as visiting an organic garden to observe how different vegetables are grown here. After a late breakfast, do a Home Visit to learn more about the Iraqw Tribe. Then proceed to Ngorongoro Crater Lodge for Lunch, and a PM Crater Game Run. 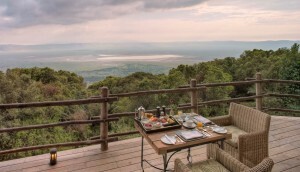 Dinner and overnight at Ngorongoro Crater Lodge (or similar). 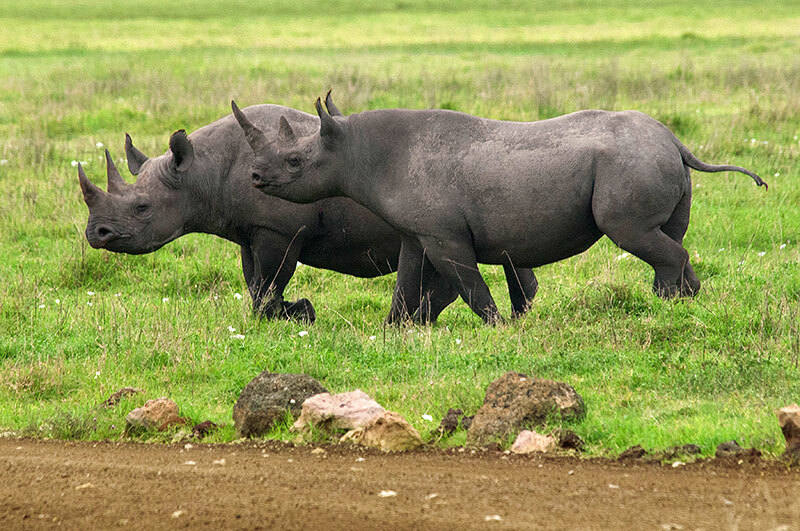 The Ngorongoro Crater is only 3% of the total area of Ngorongoro Conservation Area (NCA), but it is home to more than 75% of all the game animals found in NCA. Technically known as a caldera, Ngorongoro crater is the largest unflooded and unbroken caldera in the world with 19.2 km in diameter, 2000 feet deep, and 102 sq miles in area. The rich pasture and permanent water of the crater floor supports a large resident population of wildlife of up to 25,000 predominantly grazing animals. These include wildebeest, zebra, buffalo, kongoni, gazelle, warthog and eland. The swamps and forest provide additional resources for hippo, elephant, waterbuck, reedbuck, and bushbuck, baboons and Vervet monkeys. 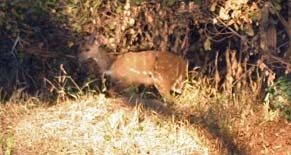 The steep inner slopes provide habitat for dik-dik and the rare Mountain reedbuck. 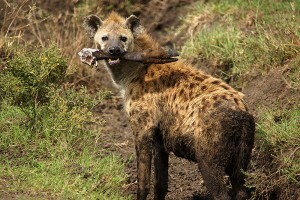 At 6:00 AM, return to Ngorongoro Crater for an early morning Game Drive with picnic Breakfast. 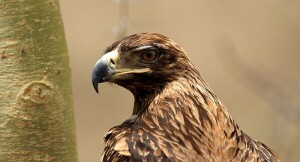 Late afternoon, return to your lodge for a late Lunch, PM Crater Game Run, and PM at Leisure. 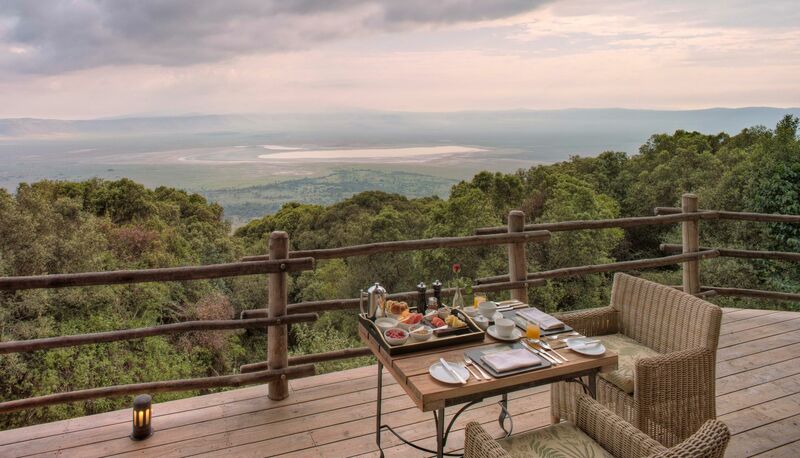 Dinner and overnight at Ngorongoro Crater Lodge (or similar). Drive to Serengeti National Park, en route, visit Olduvai Gorge Museum and Maasai Village. Afternoon, enjoy picnic Lunch then continue to your lodge, doing Game Drive on the way. Overnight at Four Seasons Safari Lodge (or similar). Morning and Afternoon Game Drive in Serengeti National Park. Overnight at Four Seasons Safari Lodge (or similar). 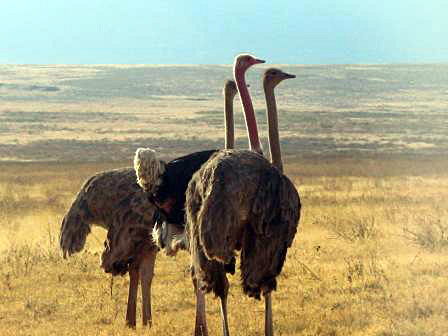 Tanzania’s oldest and most popular national park, also a World Heritage Site and also proclaimed a Worldwide Wonder, the Serengeti is famed for its annual migration, when some two million hooves pound the open plains, as more than 200,000 zebra and 300,000 Thomson’s gazelle join the wildebeest’s trek for fresh grazing. Yet even when the migration is quiet, the Serengeti offers arguably the most scintillating game-viewing in Africa: great herds of buffalo, smaller groups of elephant and giraffes, and hundreds upon hundreds of eland, topi, kongoni, impala and Grant's gazelle. 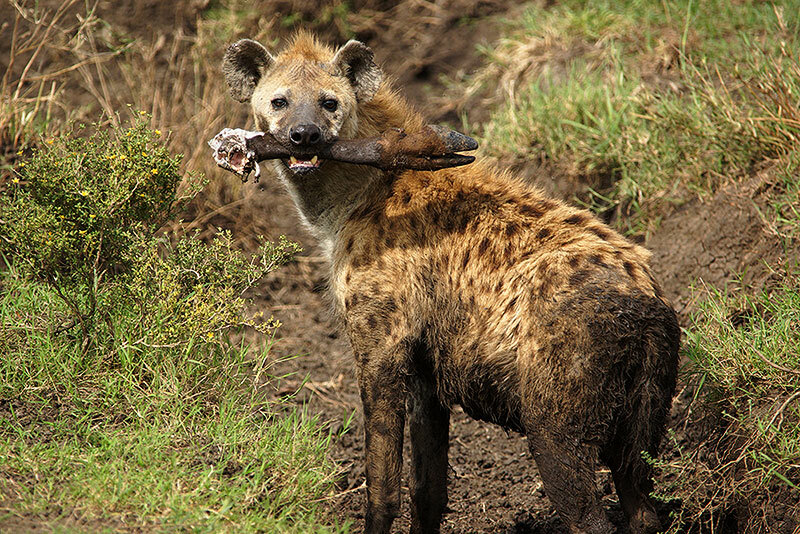 The spectacle of predators versus prey dominates Tanzania's greatest park. 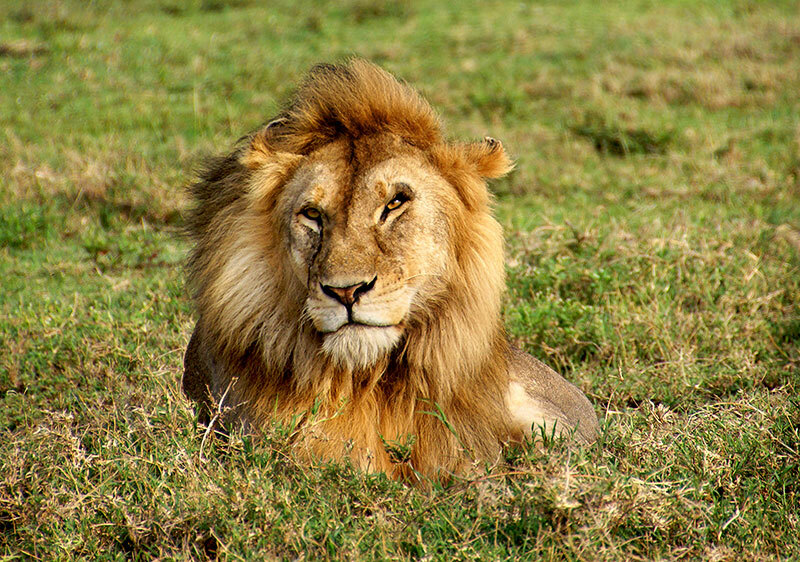 Golden–mained lion prides feast on the abundance of plain grazers. Solitary leopards haunt the Acacia trees lining the Seronera River, while high densities of cheetahs prowling the southeastern plains. Almost uniquely, all three African jackal species occur here, alongside the Spotted hyena and a host of more elusive small predators, ranging from the insectivorous aardwolf to the beautiful serval cat. But there is more to Serengeti than large mammals. 500–plus bird species, ranging from the outsized ostrich and bizarre secretary bird of the open grass-land, to the Black eagles that soar effortlessly above the Lobo Hills. After Breakfast, enjoy a birds-eye view flight over the Serengeti Plains and Ngorongoro Highland, en route back to Arusha. Lunch and day room will be at Arusha Coffee Lodge. In the evening, transfer to Kilimanjaro International Airport (JRO) for your international flight back home. Respective accommodation or similar throughout as indicated. All meals on main tour as shown. All game drives with photographic roof hatch land cruiser driven by a professional driver guide. Complimentary bottled, water, soft drinks, beer and house wine during game drives. All national park entry fees and Olduvai Gorge Museum entry fee. Entry VISA and local airport tax. Excess baggage charges levied by airline. Meals and beverages other than specified. Tips to your naturalist guide and driver guide. Tips to porters and waiters. Cost for anything not mentioned on the list above. Use this form to book the Ultra Luxury Summer Escape.